Meet Dominique. 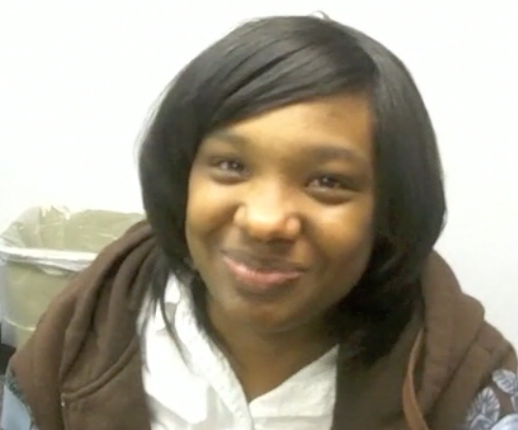 She’s a student at North Central High School who we met on our Tinker Tour in October. What does she want to use her rights to stand up for? “I’m standing up for the oceans, and marine life,” she says. “We are wasting them instead of making them better.” Hmmm… Maybe that will help the planet and stop this global weather wierding. That’s warming my heart right now here in Washington DC, looking out the window at another cold, snowy day in this record- breaking cold, snowy winter. Well, at least it’s not Philadelphia, which just had 3″ per hour of the fluffy stuff. Or New York, or Pennsylvania. Or, South Carolina, with record ice. Meet Dominique. We did, on our Tinker Tour, and we really liked hearing what she wants to use her rights to speak up about.